Join the celebration - 20 Years trading online. This entry was posted on October 11, 2016 by thecladdaghblog. Today we celebrate our online journey! A journey which has grown from a small city in Ireland named Galway. 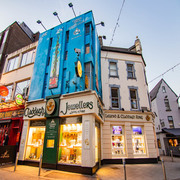 The birthplace of the Claddagh ring and home to our main store. We were one of the first jewellers to set up a website and trade online in 1996! At the time, it was hard to imagine the power of the internet but here we are 20 years later reminiscing on the fun we had designing and re designing our website over the years and all the success we have had since that point. Our website is not just a place to buy Authentic Claddagh rings or Celtic Jewellery, it is an international community of people who have a love for Ireland, Galway and their Irish heritage. 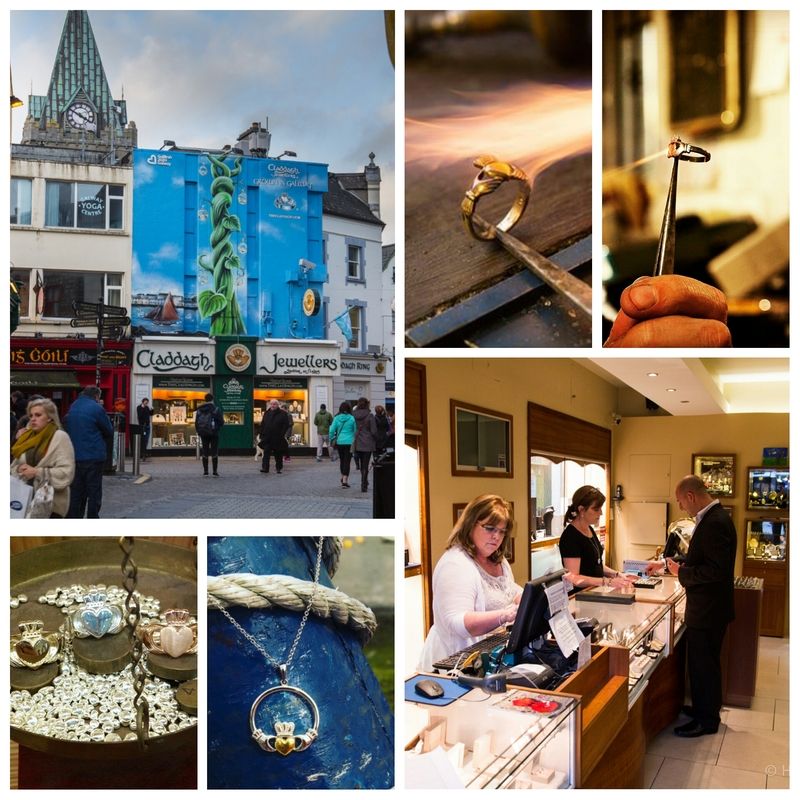 Our first store opened it’s doors in Dublin in 1967, and soon after in Galway as the only makers of the Claddagh ring in the city. We believed that our customers should be able to buy our products from anywhere in the world. We launched our first website in 1996 to the public and have continued to grow ever since. 1967: First store and manufacturing workshop opened. 1991: Began selling our Authentic Claddagh rings worldwide through our mail order catalog. 1996: First website goes LIVE! 2006: Moved our store to our new building in the heart of Galway city. 2009: We were featured on the Travel Channel with Samantha Brown. 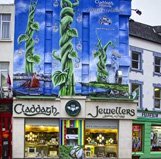 2011: The famous Claddagh Mural was painted above our shop. 2015: Dublin store opened in the heart of our Capital city. 2016: Claddagh Legend visitor centre opened to the public. 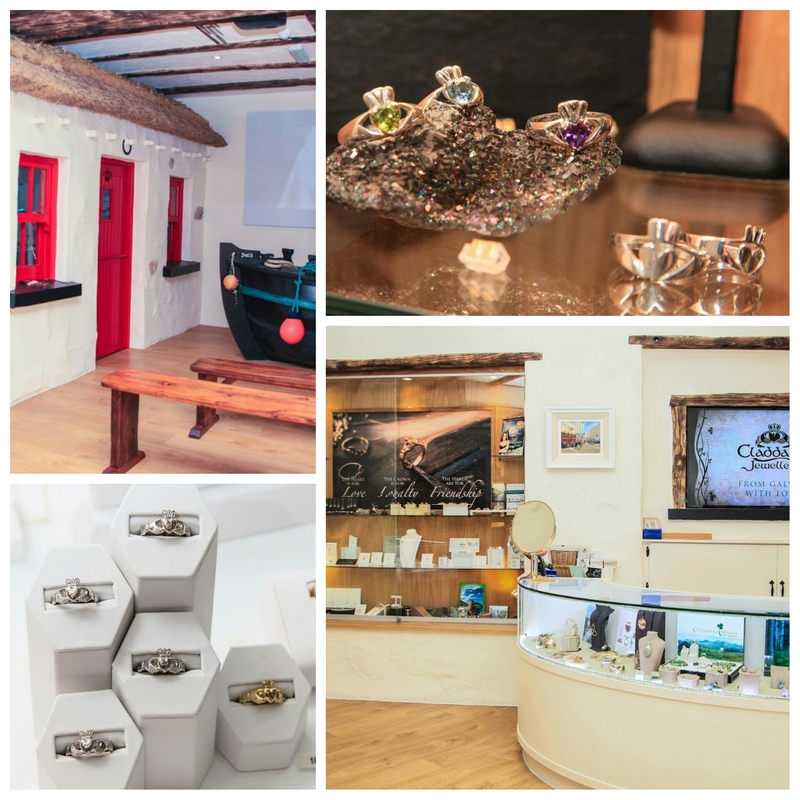 Our website is not just a place where we sell Claddagh & Celtic Jewellery, it is a learning centre on the origins of the Claddagh ring and how to wear the Claddagh ring as well as providing tourists with information about Galway and our spectacular countryside. Our LIVE webcams receive thousands of hits every day from people worldwide wanting a glimpse into life in Galway city. All this along with our continued investment in our manufacturing and design capabilities has helped us become a successful family owned business where our customer is at the heart of everything we do. Our story will continue to grow and we will continue to give our customers the highest quality jewellery and the best customer service. Thank you everyone! We couldn’t have done it without you. We have reached a significant milestone on our journey to online success. We wanted to give back to our loyal customers with a sale as our way of thanking you for choosing to shop with us, thank you for returning time and time again, thank you for your great reviews and most importantly thank you for motivating us to give you the excellence you truly deserve. Update: Thank you very much everyone. To avail of an online 10% discount when you spend over $100, please contact us and we would be happy to give you one as a token of our appreciation.